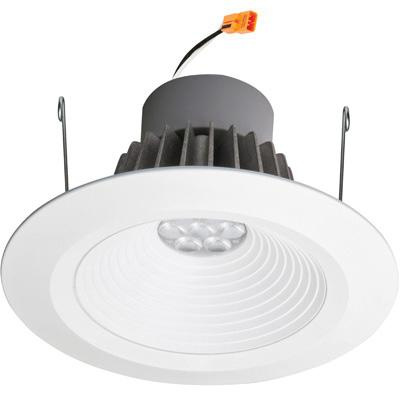 Lithonia Lighting LED recessed new construction housing has LED lamp that has voltage rating of 120-Volts. It is insulated/non-insulated ceiling mountable and has cut out of size 7-inches. It measures 15-Inch x 13-7/8-Inch x 6-7/8-Inch. This aluminum foam-gasketed housing comes with galvanized steel pan. It comes with quick disconnect for power connection to the LED modules. Housing is UL listed.